“But even with the hopeful negotiations, the Obama administration refuses to talk straight about Iran’s nuclear intentions. For example, in 2007 and 2011, America’s 16 intelligence agencies issued national-security estimates finding that any research the Iranians had been doing on nuclear weapons was terminated in 2003 — perhaps not coincidentally, the same year the U.S. military overthrew Iran’s archenemy, Saddam Hussein of Iraq. “For example, did you know that Iran’s two supreme leaders since the revolution, Ayatollahs Ruhollah Khomeini and Ali Khamenei, each in his time issued fatwas against weapons of mass destruction? Khomeini specifically addressed chemical weapons, while Khamenei’s declaration was aimed at nuclear weapons. The story behind Khomeini’s anti-chemical-weapons fatwa, which Porter relates, is worth knowing. In 1980 Iraqi President Saddam Hussein launched an attack and a brutal eight-year war against Iran. Among the weapons Saddam used against Iranian forces — with the help of American intelligence relevant to targeting and damage assessment — were chemical agents. 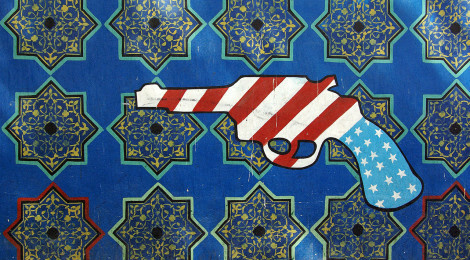 Levant Report’s own Erick Alvarez is currently working on a book project, The Roots of American-Iranian Animosity, which will give the necessary and easy-to-understand historical context to the current crisis in US-Iran relations. It is scheduled for publication in late Summer 2014.